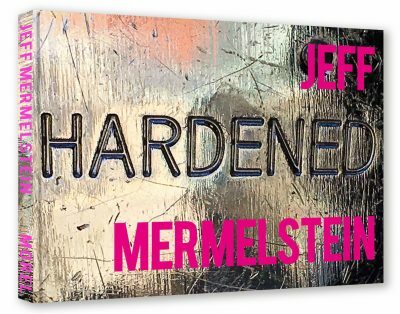 I have edited HARDENED, a book of the New Yorker Jeff Mermelstein’s iPhone/Instagram photographs, published by Mörel Books. These are just some of Jeff Mermelstein’s pictures taken on the streets of New York in the last few years. A world of everyday neurosis, minor catastrophe, panic, charm, indiscretion, revelation, fallen pride, deflated bravado, pricked narcissism, and unexpected affection. In a culture in which seemingly everything is contrived for the camera, it is heartening, and horrifying, to see what it looks like when it doesn’t think it is being photographed, or at least photographed the way Jeff Mermelstein does it. These are iPhone pictures, most of which first appeared on Instagram. That means they got viewed on devices similar to the one that made them, and in similar circumstances. You see on your screen what he saw on his. That is quite intimate, but the kind of livid intimacy that is Mermelstein’s own. Slipping beneath the skin, slicing the façade, close to the bone, too close for comfort. And now here on the printed page, in sequence, the effect of these pictures is deepened and estranged yet further. They say we get the art we deserve. And of course, that “deserve” is double-edged, in the way that Jeff Mermelstein’s art is double-edged. We didn’t know we had these photographs coming, with the vision of the difficult world they embody. We may not know what to do with them now that we’ve got them. We may not know what we did to deserve them. So let us receive them as a great gift.